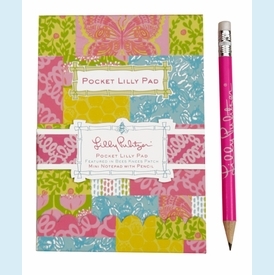 This pocket-sized Lilly Pulitzer pad can travel with you anywhere! Make your shopping list during a business meeting (tsk! tsk!) or jot down a number in the car. 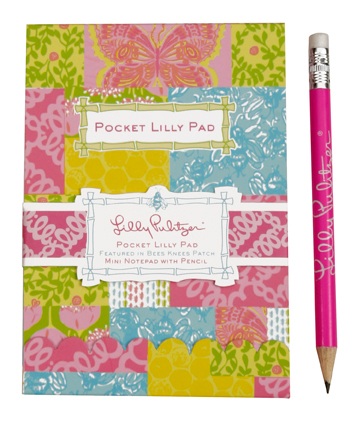 Perforated sheets, sharpened pencil and protective flip-top cover. NOTE: only 4 left! SIZE DIMENSIONS: 3" x 4.75"